Last night, a fire tore through Betsy and Shawn Hubbard's house. Thankfully, Betsy, Shawn, and their children were able to escape unharmed. However, the fire destroyed half of their home. 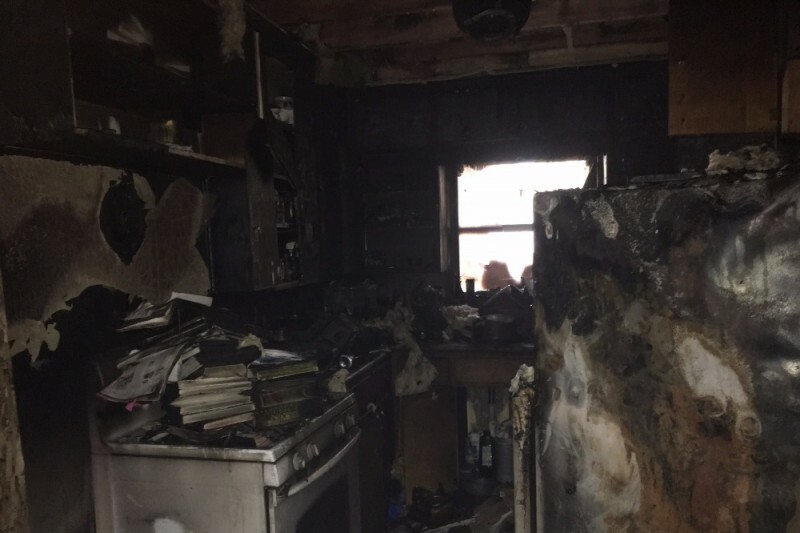 The parts of their home that weren't consumed by the flames suffered extensive smoke damage. As a result, the Hubbards will need to replace their kitchen, all of their furniture, clothing, and the other necessities of daily life. It will cost a lot to replace the items ruined by the fire and smoke. While the Hubbards are working with the Red Cross and their insurance company, I would like to help them raise money for things that won't be covered by insurance. Betsy and Shawn are dedicated educators. I have known Betsy personally for several years. She has been a co-author of Two Writing Teachers, a not-for-profit blog devoted to the teaching of writing, since 2013. She's one of those salt of the earth people who works tirelessly to make the world a better place for kids. It is my hope that this fundraising campaign will bring together the Hubbards' local community, as well as the literacy community Betsy is part of, to help the Hubbards rebuild their home in the wake of the fire. Good afternoon! I wanted to provide you with an update about the Hubbards. Right now, the family is still living in a hotel. They're working with their insurance company to find a rental home. They are hoping to be out of the hotel and into a more permanent living situation by next week. In addition, they hope to be back in their house six months from now. The campaign to help the Hubbards has been live for almost 24 hours. In that time, over $5,000 in contributions have come in to help the family with their immediate needs. We are a little over 25% towards the total fundraising goal. Please help spread the word via email and social media by sharing the link to this campaign. On behalf of the Hubbards, I thank you for your support and generosity. No one wants to go through a tragedy. In the face of tragedy, it is good to know there are people to support you. Thank you for being one of those people for the Hubbard Family. I am so sorry this happened to you and your family. Blessings to you.